TBM 900 v1.1.6 Free Update! 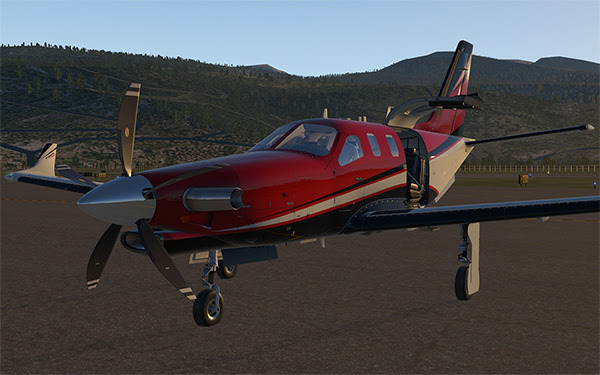 Earlier this morning we released v1.1.6 of the TBM 900. Some customers began reporting to us they were still getting v1.1.4-c installed regardless of how many download attempts they made of 1.1.6. We have identified the problem here and corrected it. Please re-download the new installer and run it to ensure you have 1.1.6 properly installed. IMPORTANT FOR MAC USERS! You must first ensure you have ejected any DMG files associated to TBM installers before running the new one or you will receive component not found errors during download and install! We sincerely apologize for this inconvenience and hope you will be able to enjoy a weekend filled with TBM flying! Implemented new LOC guidance code to work around the need to set CDI to front course. Implemented YD phaseout with airspeed. Added multi-threaded rendering support for synthetic vision. SYN VIS should now be much cheaper on performance. New rain effects using async compute. Available only on Windows & Linux. Mac gets the old rain effect. Implemented the "Vertical track" audio message. Made SYN VIS horizon headings more readable by adding darker outline. Redesigned steering force control logic to better handle centering forces. Steering had a confusing delay on it, which made for difficult directional control. Turning on NAV or STROBE lights should disable red wingtip beacons. Overspeed should come on at 269 KIAS and turn off at 268 KIAS. Reverse numbers should be 27-35 trq, 1850 rpm, Ng 85%. Gear manual extension rates were incorrect. WXR-related crash during resumption of previously interrupted flight. "FMS LFE" should be automatic upon FPL entry on the ground. Pushing Go-Around should put the HSI back into GPS mode. Replaced aural_warn_test and gear_warn recordings with cleaner samples. Force the avionics_on dataref to 1. When we had the A/P override set, unset it if the CDI mode changes. SYN VIS north horizon heading should be 360 and sub-100 headings shouldn't have a leading '0'. SYN VIS airport loading could fail sporadically, resulting in missing runways. SYN VIS old method of computing airport label placement was broken. AIRAC cycle 1904 was mislabeled as 1304. Make sure GL_BLEND is enabled, because in X-Plane windowing context it sometimes isn't. Bezel drawing didn't work in popped-out windows due to X-Plane swapping in a different OpenGL context. X-Plane 11.32r2 seems to have broken our Vertex Array Object processing, so we have to work around that.